Rangoon – United Nations special envoy Ibrahim Gambari met with detained Burmese opposition leader Aung San Suu Kyi Saturday, after the military junta make it clear they would not allow her to contest polls scheduled for 2010. Gambari arrived on Thursday on a mission to persuade the ruling regime to include Suu Kyi more in the reconciliation process. He conferred with members of the National League for Democracy (NLD) party, which Suu Kyi heads, at the Sein Le Kan Tha State Guest House Saturday morning, and later with the Nobel Peace Prize laureate at the same venue. The contents of the talks were not immediately known, but Burmese leaders had earlier made clear to Gambari that they will not allow Suu Kyi to contest a general election planned in 2010 – allegedly because she was once married to a foreigner, a gigantic no-no in the eyes of the dictators. The NLD, led by Suu Kyi, won the 1990 polls but has been denied power for the past 18 years. “The constitution has already been drafted and it should not be amended again,” Kyaw Hsan said. In a letter dated February 19 to Burma‘s military supremo Senior General Than Shwe, the UN Secretary General called for an amendment to the current draft constitution that would drop a clause excluding all Burmese nationals married to foreigners from running for election. Suu Kyi, who has been under house arrest since May 2003, was married to the late Michael Aris, a British professor at Oxford University. The new constitution, drafted by a military-appointed forum, will be voted on in a referendum in May. It is widely expected that the constitution will be approved by the referendum, especially since almost everyone in Burma expects manipulation by the regime. The referendum is part of the dictatorship’s so-called “seven-step road map” to democracy, which will culminate in a general election now scheduled in 2010. Kyaw Hsan accused the UN of being biased against the regime, which last September cracked down on anti-military protests led by Buddhist monks, leaving at least 31 people dead. The information minister noted that the world community has not objected to Thailand‘s new constitution, passed last year, despite the lack of participation by Thai opposition parties in the drafting process. He pointed out that al-Qaeda was not allowed to take part in drafting the Iraq or Afghanistan constitutions. He also criticised Suu Kyi, who has been under house arrest for 12 of the past 18 years, for rejecting the regime’s request that she openly oppose Western sanctions on Burma as a precondition for holding talks with her. “Although we have opened the door for (a) ‘win-win’ situation, (the) NLD and Daw Aung San Suu Kyi are refusing to join hands,” Kyaw Hsan said. He urged the visiting envoy to support the junta’s “seven step” road map and stop pursuing alternatives suggested by western democracies. “We shall not accept any attempt to hinder or reverse the process of the seven-step road map. However, we will heartily welcome the positive suggestions of the UN to help implement the seven-step road map,” Kyaw Hsan concluded. Rangoon – The Burmese junta informed visiting United Nations envoy Ibrahim Gambari they will not amend a draft constitution to allow opposition leader Aung San Suu Kyi to contest the planned 2010 polls. On Saturday, Mr Gambari met Mrs Suu Kyi, without result. Information Minister Brigadier-General Kyaw Hsan gave Gambari a long lecture on Friday, which was printed in all state-controlled media. Gambari met with the Nobel peace prize laureate and other executives in her National League for Democracy (NLD) party at the Sein Le Kan Tha State Guest House for about 90 minutes. The content of their discussion was not immediately known, but it did nothing to change the minds of the military dictators and allow her to contest a general election planned in 2010. In a letter dated February 19 to Burma’s military supremo Senior General Than Shwe, the UN secretary general called for an amendment to the current draft constitution that would drop a clause excluding all Burmese nationals married to foreigners from running for election. Suu Kyi, a Nobel peace prize laureate who has been under house arrest since May, 2003, was married to the late Michael Aris, a British professor at Oxford University. The new constitution, drafted by a military-appointed forum, will be voted on in a referendum in May, this year. It is widely expected that the constitution will be approved by the referendum, which is expected to be manipulated. The referendum is part of the regime’s so-called “seven-step road map” to democracy that will culminate in a general election now scheduled in 2010. Kyaw Hsan faulted the UN for being biased against the regime, which only last September cracked down on anti-military protests led by Buddhist monks, leaving at least 31 people led. The information minister noted that the world community has not objected to Thailand‘s new constitution, passed last year, despite the lack of participation by Thai opposition parties in the drafting process, nor the recent constitutions passed in Iraq and Afghanistan, despite the lack of participation by their opponents, including Moslem militants with al-Qaeda links and the Taliban, respectively. “We haven’t heard any objection to these events by those persons and organisations who are objecting to us,” said Kyaw Hsan. “It is not fair. The United Nations should stand fair and square without bias. He also criticised Suu Kyi, who has been under house arrest for 12 of the past 18 years, for turning down the regime’s request that she openly oppose western sanctions on Burma as a precondition for holding talks with her. “Although we have opened the door for ‘win-win’ situation, NLD and Daw Aung San Suu Kyi are refusing to join hands,” Kyaw Hsan said. 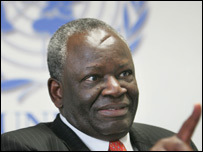 Gambari reportedly promised to onpass the minister’s “clarification” to the UN the Secretary-General. AP foreign YANGON, Myanmar (AP) – Myanmar‘s military government rejected UN suggestions for political reform Friday in a meeting with a visiting special ..
Rangoon (dpa) – United Nations special envoy Ibrahim Gambari on Friday held talks on the Burmese junta’s plans for a referendum that will enshrine the dominance of the military in the country’s politics. Gambari, who arrived Thursday on a mission to persuade the military to open a political dialogue with opposition leader Aung San Suu Kyi, has thus far held talks with Burmese Foreign Minister Nyan Win and Aung Toe, chairman of the Commission for Holding Referendum for the Approval of the Draft Constitution, sources said. On Friday afternoon Suu Kyi was allowed to leave her lakeside residence in Rangoon, where she has been under house arrest since May, 2003, to meet with Gambari at a state guest house where he is staying. He was also scheduled to meet with other members of National League for Democracy (NLD) Party, headed by Suu Kyi. It was Gambari’s second visit to the isolated, military-run state since last September’s brutal army crackdown on protests in the streets of Rangoon that left at least 31 people dead. Gambari has been tasked to persuade the ruling junta to open a political dialogue with Nobel peace laureate Suu Kyi and with other representatives of Burmese society, to forge a national reconciliation process acceptable to the international community. His efforts, however, have been pre-empted by military supremo Senior General Than Shwe’s announcement last month that he will hold a referendum on a new constitution in May this year, to be followed by a general election in 2010, according to analysts. The two steps are part of the junta’s so-called “road map” to democracy, a long and winding path that has already taken 14 years just to draft a new constitution. The new constitution, drawn up by a military-appointed body, will enshrine the military’s lead political role in any future elected government. A general election, now scheduled at an unknown date in 2010, would put an end once and for all to the legitimate claims to power by Suu Kyi and the NLD that won the 1990 general election by a landslide. It is anticipated that Suu Kyi, who has spent 12 of the past 18 years under house arrest, will be ineligible for the 2010 election because the new constitution bars anyone married to a foreigner from running for public office. Suu Kyi was married to the late Michael Aris, a history professor at Oxford University. Western democracies such as the US and the European Union are still pressuring the military to include Suu Kyi in the national reconciliation process. Since 1962, Burma has been ruled by a military regime that has earned itself one of the world’s worst human rights records after two brutal crackdowns on pro-democracy movements in 1988 and in September of last year. It has arrested thousands of political dissidents including Suu Kyi.